Have you ever run away? I have. I was about 8 and I packed my little suitcase with a book and a dolly blanket and left. I went over the hill and found a comfy clump of tall grass and read for a loooooong time. Then I got hungry. Guess where I went? You got it. Back home. But you know, that's not how Jonah did it. Jonah knew what God wanted him to: go to Ninevah and tell them about God. So what did he do? He ran the opposite direction.Was he happy? NO! Jonah's disobedience put a lot of men's lives in danger. Think about the storm that blew up. The sailors were very experienced in their job, they weren't just fair-weather sailors. But these guys were scared—really scared! They were throwing the cargo—the stuff that would be sold so they could get their paychecks—overboard in the hopes that a lighter ship would help them survive the super-storm they were in. So what has God told us to do? It's similar to what God told Jonah. We're to tell our friends about Jesus. Are you obeying or are you running away? If we don't tell them about Jesus, we're putting their lives in danger. Just think about it: if a person hasn't accepted Jesus' gift of forgiveness and salvation, where will they go when they die? They'll go to hell. They'll never get to be with Jesus. And not just that. When they go through hard things in their lives they won't have Jesus who can help them through that hard time. Our friends need to know about the wonderful friend and treasure we have. They need to know about Jesus. How do we know that God wants us to tell our friends about Jesus? Because He tell us to. In Mark 16:15 it says, “Go into all the world and preach the good news to all creation.” Our friends are part of 'all creation' so let's tell them that Jesus is the Good News! So, what are you going to do?Are you going to be like Jonah and runaway, or are you going to obey God?Was Jonah happy? NO! Joyce Magnin and Judy Gann. Those giveaways will be open until Wednesday night and the winners will be posted on Thursday. Welcome to Patterings, Joyce! I'm so glad to have you. Tell us about your epiphany moment when you decided you were going to seriously pursue writing and eventually publication. I was nine years old. Truly. I wrote a story and my teacher liked it and I knew at that moment. I know it sounds hard to believe but yeah, that was it. It just took a few years to happen. The Prayers of Agnes Sparrow. It's a hoot. Funny, poignant. I loved exploring the characters and making them quirky and zany. I love all the characters but I suppose Griselda is my favorite because I spent most of the time with her. She's just trying to get through each day as best she can and take care of everyone, just like the rest of us. She has some different challenges is all. Time. I am so busy. I try to find time by getting up early and working before the day starts for the rest of the world. I guess Agnes Sparrow simply because of who she is. I really needed to work with her because she was always in one place. I think I should be crowned Queen of Quirk. For me Quirky is a life style. Here's a few. I eat spaghetti sauce but hate tomatoes. I have a birthmark shaped like Peter Cottontail. I always leave a little food on the plate, don't know why, just do. I once took a job as a dog groomer even though I had NO training and made the owner of two champion Scotty dogs very upset. Got fired that same day. I will drive twenty miles out of my way to avoid traffic, I fake-sing at church because I have a lousy voice, but I know God understands and loves me just the same. (oh, guess I need to stop that now). I don't think Panda Bears or Koalas are cute. I have gotten this far through life having never owned an umbrella. I have an irrational fear of bridges among other irrational fears. I wonder if my finger prints are fading because of all the keyboarding and clicking I do and just recently learned that I have developed an allergy to plastic. TMI? Then let me just say I love love love Jesus and in spite of all my quirks I am happy being just who He wants me to be. Of course. The Dentist. I am the world's worst dental patient. Extremely phobic. I hate the pain because I think it's so close to my brain! The signals don't have far to travel. I dread the whole experience. I also put off laundry, dishes, bills. A perfect day? Um. Do they exist? One with no interruptions. From hard-boiled detective to Fannie Flagg to Mary Kay Andrews and Ann Patchet. M&Ms and Rice Pudding. Weird huh. Every once in a while there's nothing like a big old cheesesteak and chocolate milkshake to bust through the writing doldrums. My success is His success. Charlotte Figg Takes Over Paradise is scheduled to release next fall from Abingdon Press Fiction. It's a about a newly widowed woman, Charlotte, who buys a double-wide trailer in the Paradise trailer park and forms the women in the park into a softball team. Silly, huh, but Charlotte has quite an adventure and does some serious Kingdom-stretching work in the process. That sounds fun, Joyce! Thanks so much for being with us this week! 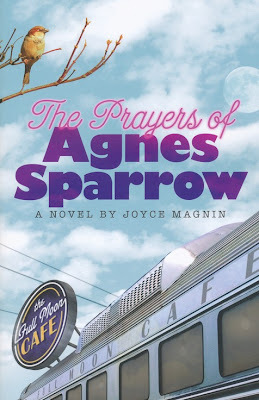 You can keep up with Joyce on her website and blog, purchase The Prayers of Agnes Sparrow at Amazon and CBD. Mary and Tammy, thank you so very much for being with us here at Patterings! It was a pleasure having you! 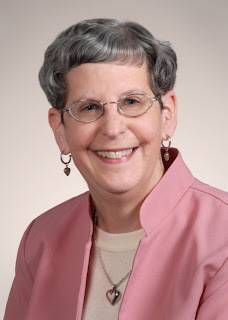 Whether it’s comforting those who are ill, exhorting parents to read to their children, or encouraging women, Judy Gann’s passion is to offer hope and encouragement through her writing and speaking. 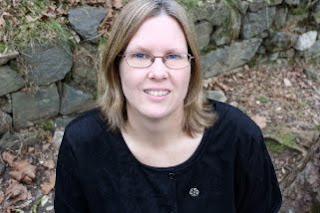 A former elementary school teacher, she has been employed as a children’s librarian for over twenty-five years. 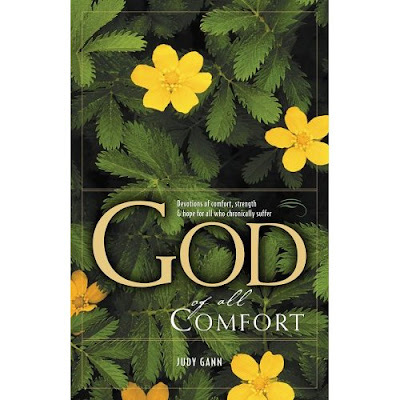 Judy is the author of The God of All Comfort: Devotions of Hope for Those Who Chronically Suffer (AMG/Living Ink Books). She’s written several magazine articles and contributed to compilations. Judy lives in Washington state where, when she isn’t writing, speaking, or playing matchmaker for books and readers, she enjoys reading, collecting children’s books, crocheting, eating Mexican food, cheering the Seattle Mariners, and taking long walks—even in the rain. Pain. Fatigue. Despair. Where do you turn when you or a loved one is diagnosed with a chronic illness? Based on the author’s own experiences and interviews with seventeen other people with chronic illnesses, The God of All Comfort draws readers into God’s Word to find the strength, comfort, and hope they need to cope with the challenges of living with illness. Judy, welcome to Patterings! I'm so glad you're here! Tell us about your epiphany moment when you decided you were going to seriously pursue writing. Books and words have been a part of my life ever since I borrowed my first library book, Make Way for Ducklings by Robert McCloskey. When I didn’t have my nose in a book, I was scribbling stories in a notebook. My first published piece was a character sketch of a six-year-old in a county high school literary magazine. In addition, I was an editor on my high school newspaper. Then college, followed by careers as a teacher and children’s librarian shoved aside my writing dream. In 1988, a severe allergic reaction to a medication impaired my cognitive abilities. After spending nearly a year bedridden, I returned to work only to discover that I couldn’t even put together the words to write a simple memo. My dream of writing crumbled. Over the next seven years, my cognitive abilities—including writing--gradually improved. I realized that my ability to write is a gift from God. God is a God of second chances. He gave my writing gift back to me and I have a responsibility to use it for Him. Teri’s question stayed in my mind long after I pored through my Bible and journal and provided her with a list of verses. Years later her question motivated me to write The God of All Comfort. My biggest obstacle is tuning out my inner editor/critic who shouts in my head. Sometimes I’m my own worst enemy, scrutinizing every sentence as soon as it’s on the page—if not before it’s written down. I sometimes silence this ominous voice by using my AlphaSmart. With its small screen, the AlphaSmart limits what I can see and thus I’m less inclined to go back. Alphies are great for that aren't they? I love that analogy, too! My most irksome habit is that I’m too much of a creature of habit—love my routine and dislike changes and obstacles to my well-laid plans. One of my goals this year is to be more spontaneous and open to the little surprises the Lord brings into my life every day, and to take more risks—although you won’t see me skydiving anytime soon. I’d pack a picnic basket, my laptop, and a bag of books and head to the mountains before dawn. I’d find a spot along a creek and divide the time between writing, reading, and taking long walks. Are you sure I can’t stay overnight in a cabin? LoL Judy, you are MORE than welcome to stay overnight at the cabin! Can I go with you? Pleeeeeze? What a question for a librarian! My favorite books range from children’s books to women’s fiction, with some cozy mysteries mixed in. I usually have three books going at once—a children’s novel, the Christian fiction book I’m reviewing for the library system, and my evening/bedtime book. In addition, I try to read one book on the craft of writing each month. Right now I’m reading When You Reach Me by Rebecca Stead (children’s), Gone to Green by Judy Christie, Tender Grace by Jakina Stark, and Writing the Breakout Novel by Donald Maas. I usually need vanilla nut coffee to get me going in the morning. Although not much of a snacker, I admit to a weakness for Lindt’s white chocolate truffles and Mexican food. Although I don’t have a book coming out, I’m working on a book for parents on sharing books with young children. My background as an early literacy librarian and passion for encouraging parents to read to their children provides the material for this book. I’m also working on my first fiction manuscript. Thanks so much, Patty! 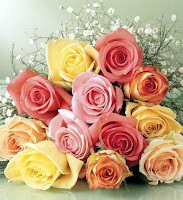 I’ve enjoyed visiting with you and your readers. You can keep up with Judy at her web site, blog, on Twitter and Facebook. You can purchase God of All Comfort at Amazon and CBD. Here's an excerpt from The God of All Comfort. My hands and legs trembled as I climbed into a car on this “baby” roller coaster and sat down next to my niece. With a loud “clack-clack,” our car lurched to the top of the first hill. I clamped my eyes shut and clung to the safety bar. Our car plunged to the bottom and then rocketed up the next incline. Surely I’d left my stomach at the bottom of the last hill. Life with a chronic illness often mimics a roller coaster ride. Symptoms of diseases such as lupus and fibromyalgia are cyclical in nature. One day we feel great, exploding with energy. The next day, stricken with a flare-up, we descend to the depths of pain and fatigue. This unpredictability disturbs my structured, orderly nature. Coping with symptoms today is far easier for me than not knowing how I will feel tomorrow. “Good” days are spoiled as I fret about how long they will last. Making plans becomes a distasteful guessing game. How do I respond when someone says, “But you were fine yesterday”? As Christians we have the privilege of gripping something far more secure than a metal safety bar as we ride this roller coaster of volatile symptoms: the faithfulness of God. Jesus is as constant and unwavering today as he was yesterday and will be tomorrow. He is with us in the downward spirals as well as on the heights of our “good” days. The roller coaster of chronic disease makes steep drops and corkscrew turns. Yet we trust in the living God who knows what is lurking around the next curve. Lord, thank you that you are one constant in my life. In spite of my fickle health, may I live in today, trusting you for tomorrow. 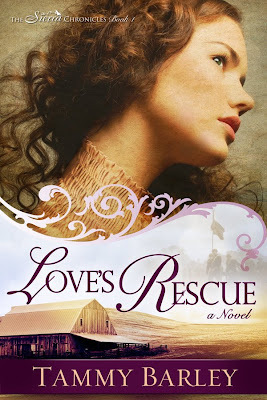 Don't forget Kathy Fuller's giveaway that's still going on, too! Welcome to Patterings, Kathy! Tell us about your epiphany moment when you decided you were going to seriously pursue writing and eventually publication. My moment was when I was sitting in church nearly ten years ago. Our pastor was retiring and his son gave the sermon that day. He talked about stepping outside your comfort zone for Jesus. Instead of sitting happily on your mountaintop, go out and risk yourselves. I decided to do that with writing, which we all know is an emotionally risky endeavor. Writers subject themselves to rejection, ridicule, harsh reviews, among other things. I wouldn’t be where I am today without the Lord’s prodding and equipping, even though I’m often tempted to race back up to my mountaintop. It’s safe and comfy there. That’s really hard, because I’ve enjoyed writing all my books, even though the process isn’t easy. Of my female characters I really liked writing Emily from A Clever Disguise. Out of the male characters, I think it’s a tie between Gabriel and Tobias from A Man of His Word. Those guys are different from each other, but they were equally enjoyable to write. Procrastination, hands down. I’ve always put off things to the last minute, and I’ve spent years trying to correct that flaw. I have a calendar where I write down my deadlines and calculate word count and that helps keep me on some kind of pace. I also remind myself that someday my procrastinating is going to catch up with me if I continue working this way. That said, I do my best under pressure. I just don’t like being in the pressure pot! You mean one I will admit to? ;) I like apples and blue cheese together, is that strange or quirky? I’m sure some people will think its gross, but I love it. Um, all the time. See my procrastination problem above. The worst thing is doctor’s appointments—I have a fab doctor but I hate going to see him. That sounds absolutely wonderful, Kathy! Diet pepsi and cheese sticks. I love writing about God’s faithfulness to us and exploring how people go through their lives living their faith. To have patience and trust in Him. He teaches me that lesson over and over and over. I’m hard-headed! Thank you for being with us, Kathy! 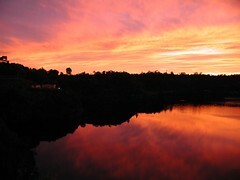 I was born in New Orleans, Louisiana, grew up in Little Rock, Arkansas, and now make my home in beautiful Geneva, Ohio. I’ve been married to James for 15 wonderful years (really, they have been wonderful!) We have three terrific children, three dogs, and an overwhelmed cat. We have also raised cattle, pigs, and chickens at various times over the years. We would have gone into the goat business, but I had to draw the line somewhere. I started writing in 2000, and published my first short story a year later. Since then I have authored several short stories, novellas, novels, and have done a lot of freelance non-fiction work. I have also worked as an editor. I have a Masters degree in Special Education, emphasis on teaching the blind and visually impaired, and a Bachelors in Early Childhood/Elementary Education. I have taught all age groups ranging from age 4 to age 18. A few of my favorite things: my relationship with Christ, chocolate (of course! ), autumn, a satisfying book, good friends, a sense of humor, people who don’t take themselves seriously, haunting melodies, NFL football, and did I mention chocolate? Eight years ago, Gavin Parringer left London after the woman he loved, Diana Dymoke, rejected him and married someone else. Suffering from amnesia, he has returned to England, unable to recall anything of his former life. He doesn't even recognize Diana, who is now a widow with regrets. Despite everything that has come between them in the past, Gavin finds himself falling in love with Diana for a second time. Diana also has feelings for Gavin, but she is afraid that if he remembers how harshly she treated him before he left London, he will have nothing to do with her. Thus, she keeps the truth of their prior relationship a secret. Yet when Diana's life is threatened and Gavin's memory returns, they both have to face the ghosts of their pasts in order to embrace a future together. A knot of pain formed in Gavin Parringer’s belly as agony enveloped his soul. Standing outside his best friend’s house, he struggled with the emotional battle raging inside him. Lights glowed from every room of the house, illuminating the glass windows. The stately manor seemed like a beacon on the darkened London street, and Gavin felt drawn to go inside. Or rather, go back inside. He paced the front walk, kicking a stone as he tried to decide what to do. He had already been inside once, an uninvited and unwelcome visitor to the party Colin Dymoke, Baron Chesreton, was hosting. It was the only party Colin had never invited him to, and the only time Gavin had ever crashed one. Yet he had a good reason to break all protocol and attend a party he had no business being at. Colin’s sister, Diana, was the reason. Never mind that this was her engagement party. Or that he was madly in love with her and she loved someone else. Or that her sister, Emily, had just declared her love for him, and he had to gently but firmly tell her that his heart belonged to only one woman. Or that common sense had finally reigned and he had left the party a few minutes earlier before spoiling the evening for everyone. He shoved his hand through his hair. Blast, when did everything get so bloody complicated? But there was one thing that was crystal clear—Diana was making a mistake. A huge mistake. And he had to try and stop her. He wouldn’t be able to live with himself if he didn’t. Glad the man hadn’t called him on his bluff, Gavin rushed out the house and circled round the back, to the far corner of Colin and Lily’s garden, where he had instructed she meet him. As he waited he prayed his note had conveyed enough urgency to Diana for her not to dismiss his request. After several long, agonizing moments, he saw her come out the back door, looking over her shoulder as if to make sure she hadn’t been followed. When she reached him, he could barely make out her features in the darkened night. But when she turned her face and tilted it upward to look directly at him, a sliver of soft moonlight illuminated her face, effectively stealing the breath from his lungs. His heart swelled with love for her. She was such a beautiful creature, the loveliest woman in London, not only in his estimation but in almost everyone’s opinion as well. Diana Dymoke’s beauty was the stuff of legends, and since her debut in London society she’d had more suitors than any other ingénue in the ton. Gavin had counted himself among those suitors, until she had told him she had accepted William Garland’s proposal. She had delivered this news rather unceremoniously and with little regard to his feelings, destroying the impression he’d had that he had won her affections and they had a future together. Her revelation had hit him harder than a punch in the gut, breaking his heart in a thousand pieces. He doubted he would ever rebound from her rejection. For him, the only woman in the world was Diana Dymoke, and knowing she would never be his was something he couldn’t comprehend. But his own emotional state was not his reason for meeting with her, and he was thankful she agreed to come out here, even at great personal risk. The spark of anger in her eyes showed that she understood the precariousness of their clandestine meeting. If they were caught together, in the dark, alone…her reputation would be ruins, and Gavin would probably be facing pistols at dawn. She huffed, crossing her arms over the glittery bodice of her gorgeous pale pink ball gown. “Gavin, I already told you—I do not love you. I love William, and I am going to marry him, and that is the end of this conversation.” Spinning around, she turned to go, but he snaked out his arm and grasped her shoulder. “Unhand me,” she said fiercely, but in a low voice. Gavin paused for a moment, unsure of how much to reveal. “You what?” Diana stormed toward him, anger radiating from her perfect body. Her words, coupled with the visual daggers she hurled his way, sliced his heart cleanly in two. She had made her point, and made it with painful clarity. Before he could respond, she whirled around and stormed off toward the house, and presumable, back to her cad of a fiancé. The thought of following her passed through his mind, but he ignored it as his own fury built inside. He had only wanted to help her, to save her from making the biggest mistake of her life, and all he got for his trouble was insults and more rejection. Well, he’d had enough. He had told her sister Emily that he was leaving for a trip abroad, and he would go through with it. If Diana had given him even an inkling that she might have taken his warning to heart he would have cancelled his plans without hesitation. But she’d made her choice…now she had to live with it. He didn’t care what she did. But as he walked back to his townhouse, he knew he would never stop caring, or loving Diana. She was his cross to bear, and always would be. Melancholy strangled him, threatening to squeeze the air from his throat. Perhaps some time in India would help dull the agonizing pain in his heart. Or perhaps not. He had no idea. What he did know is that he couldn’t bear to watch her marry a man who would only hurt her in the end. That right there was enough of a reason to leave England. A chilly London wind cut straight through Gavin Parringer. Shivering, he tugged his overcoat closer to his body. True, the air wasn’t all that cold, but the overcast sky, coupled with the fact that he had spent the past eight years in the hot climate of India, made the chill even more acute. He climbed inside the elegant black carriage assigned to take him to Tamesly House. His own personal carriage. He could barely wrap the idea around his head that he owned such a luxurious vehicle. Not when he couldn’t remember ever riding in one. Sinking back in the plush velvet seat, he looked at Dr. Seamus Burns sitting across from him. The only person—the only thing—familiar to him since his return to England. The older man pulled his gilded watch out of his pocket, adjusted his spectacles before checking the time, then snapped the watch shut with a click. The carriage lurched forward. Gavin pulled back the curtain enough so he could look out the window. He drank in every detail of the passing landscape, hoping something would click in his mind. The surrounding buildings ranged from magnificent to needing repair. People were everywhere, walking, riding horses, traveling in carriages and hacks. But nothing looked familiar. Nothing triggered the memories he was so desperate to retrieve. As the carriage passed over a bridge, he stared down into the murky water below. Although at thirty-two Gavin could hardly be called a lad, the good doctor had been addressing him that way for years. Gavin frowned as they left the bridge. He should recognize the Thames. The buildings. The people. Everything. He clenched his fists. Frustration he hadn’t experienced in more than six years returned full force. “Why can’t I remember?” he asked through gritted teeth. Gavin set his elbows on his knees and hung his head. His body swayed with the movement of the carriage. He resisted the urge to pull out the letter he had received a month ago and re-read it, but that wasn’t necessary. He knew the contents by heart. The missive had been the impetus for his return to London. I hope this letter finds you healthy and well. Allow me to introduce myself. I am Cecil Buttons, the solicitor for your estate. I cannot tell you how happy and relieved I am to discover that you are alive in India. We had feared you dead for we hadn’t heard a word from you since your departure from England eight years ago. I must assure that I never gave up hope. I spent a considerable amount of personal time and resources to track you down. Now I must get to the point. Your estate is, unfortunately, in a shambles. I have done the best I can in your absence to take care of your holdings in Lancashire and the family estate in Aberdeen. However, I have faced considerable opposition from your cousin, who has been petitioning the court to declare you deceased, thus acquiring your title and what is left of your estate. Through some intricate legal maneuvering, and with the help of your friend Lord Chesreton, I have been able to keep your cousin from reaching his goal. But I’m afraid that the stalling has come to an end. If you do not return to London posthaste, you will lose everything. I do not know what has kept you in India, and why you have chosen not to contact me during the last eight years, but I implore you to respond to this letter and let me know what you intend to do. Gavin had been shocked to receive the letter, and even more shocked at its contents. For years he had wondered about his past, about the fleeting memories of the life he’d had before the accident. He knew he was from England, since the contrast between him and the people of Calcutta had been glaring. But how he’d gotten to India was a mystery, one even Seamus couldn’t help him solve. Now he at least knew he was a lord of some sort, and owned an estate of unknown value. An estate in trouble, if the letter could be believed. Which Gavin wasn’t sure he did. Yet the missive provided more information than he’d ever had before, and it was definitely worth investigating. Fortunately Seamus had offered to accompany him, eager to visit England after a twenty year absence. The coach came to a stop and Gavin sat up. The moment of truth had arrived. He would either discover his past or be a victim of a ruse. Either way, his life would never be the same. “Ready, lad?” Seamus brushed the palm of his hand over the few strands of hair that stretched over his bald pate. Gavin could tell his friend was forcing himself to remain nonchalant. Seamus was just as curious as he was, perhaps even more so. The man had invested the last eight years of his life, first treating Gavin, then training him to be his assistant. Gavin thought of him as more of a father than a physician. As far as he was concerned, Seamus Burns was the only father he’d ever had. Nodding, Gavin adjusted the white cravat at his neck. The blasted thing was bloody uncomfortable, but supposedly necessary for a man of his position. He would rather dispense with it altogether, along with the stiff shirt, decorative waistcoat, and form fitting trousers. Instead he longed for the loose linen pants and long tunic he had in his suitcase. But he felt enough like an outsider. He didn’t need to look like one too. The door opened and he stepped out of the carriage, Seamus not far behind him. The house standing before him was in obvious need of repair. Several of the cobblestones of the drive were loose, rust coated the wrought iron around the small porch, and the window panes were dingy. He could only imagine the condition of the inside. Suddenly the front door flew open, and a tall, blond haired man with a slender build came bounding toward him. “Gavin, old chap! You are a sight for sore eyes!” A grin broke out on his face as he gave Gavin a hearty hug. Out of courtesy Gavin returned the embrace, but with little enthusiasm. He had no idea who this man was—perhaps his cousin? But if that was the case, he wouldn’t be all too happy to see him, at least according to what Buttons had said in his letter. Ah. So this was Lord Chesreton, the man Cecil spoke of in the letter. Awkward silence filled the moment as Gavin tried to think of what to say. How does one tell his best friend he has no idea who he is? Gavin looked at the gentleman. He didn’t recognize him either, but he shook his hand. “Thank you,” was all he could think of to say. “Pleasure to meet you,” Seamus said. The four men stood on the drive in front of the house, growing more ill at ease. Except for Seamus. Gavin knew he was quietly observing the situation, as was his way. “No…not at all.” Gavin wracked his brain to figure out what port was. A drink, presumably. Seamus’ tastes ran between tea and scotch, and when he was particularly stressed he mixed them both. Gavin had refrained from alcohol altogether, preferring to keep his senses as clear as possible. Things were muddy enough as they were. As they entered the house, his assumption about the disarray of the house had been accurate. He glanced at Cecil, who looked at him sheepishly. Gavin nodded, and started to follow Cecil, but Seamus spoke up. Slowly, Gavin shook his head. Lord Chesreton strode toward Gavin, then clasped his arm around Gavin’s shoulders. “Absolutely. We have known each other since we were tots.” The strained look on that had been on his face since Gavin’s arrival disappeared as he grinned. For the first time since he’d received Buttons’ letter, Gavin smiled. He might not remember this man, but he knew he could trust him. If anyone would help him learn about his past, it would be him. “Port?” Gavin asked, willing to admit his ignorance now without fear of looking foolish. 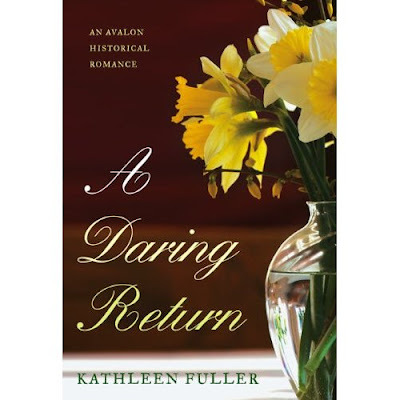 A Daring Return can be purchased from Amazon. Don't forget the other giveaways currently in progress. These drawings will be closing this evening and the winners will be posted with tomorrow's post. The other morning I was making an early run to the airport. The sky was light, but it was still pretty dark on the highway. It didn't help that the trees were close to the road and the pavement was new. After awhile the road seemed to broaden as we crossed a lake. Not only did the trees fall away, but suddenly it was lighter even though the sky was the same. What was the difference? The lake. Instead of absorbing and blocking the light from the sky, it reflected it. This is something I've been doing a lot of thinking about lately. Reflecting, and more specifically, reflecting God. The trees simply absorbed the light, preventing it from going any further than themselves. The lake reflected the light making it even lighter. It made me realize we do the sames things. We can be either a tree or a lake. If we're a tree, we just soak up the Light, basking in it. If we're a lake, we reflect the light even as we bask in it. People can be in a group of Christians and still feel as though they're in the dark because the believers aren't reflecting any of God's Light, they're keeping it to themselves. It makes it so that when they run across Christians reflecting God, they really notice it. I want to be like that lake on a dark morning, shining brighter and brighter. I want to reflect God's Light so that those around me can see God better. Check the sidebar for the two book giveaways still going on and join us! We have some winners for Nicole O'Dell's books! Esther and Cherie J! Congratulations, ladies! Send me your snail mail addresses. Thanks so much for participating in the Book Bonanza! And Nicole, thanks so much for being here at Patterings this last week! It was wonderful having you! Welcome to Patterings, Tammy! Tell us about your epiphany moment when you decided you were going to seriously pursue writing and eventually publication. My strangest habit is my frequent lack of habit. Perhaps that comes from moving from place to place my whole life—I just love constant change and newness. If there’s a good meteor shower in the middle of the night, I wake up the kids and we watch the meteors. If it’s pouring rain, I might be inspired to run in the rain (and splash barefoot in the biggest puddles). If I wake up one morning and itch to get out of the house, we might load us and the dog in the car and go visit family two states away. For me, spontaneity nicely counterbalances strict, repetitive schedules and of life’s have-tos. Actually I love to conquer things I dread. I do, however, put off doing things I don’t like to do—like pulling weeds—but the only real dislike is getting started. Once a project is underway and I begin to see success, the dislike is replaced by the positive feeling of accomplishment. How long is this day? =) Wake up after twelve hours of great sleep, meet up with a bunch of friends, eat blueberry muffins hot from the oven (the zero-fat-really-healthy kind--LOL), ride horseback over a miles-long path through a forest, it’s sunny, about 78 degrees with a cool breeze, go hang gliding over mountains, and finish the day in a remote log cabin eating strawberries swirled in chocolate in front of a cheery fireplace listening to a thunderstorm. Romance, suspense, mystery, historical, biography. Gold raisins and popcorn. Not together. God intends for us to work steadily and store up, like the ants in Aesop’s fable, but He also intends for us to know when to quit and live and to take time to touch others’ lives as well. Hundreds of them, subtly. My favorites are those that reveal how God helps us overcome impossible situations. I love that when a struggle involves God vs. Satan, God will always win. Next summer book two in the Sierra Chronicles will be out, called Hope's Promise. Jake and Jessica Bennett learn there was more to her parents’ deaths than they knew, and both the ranch and Jessica are in danger. Now they must quickly find the murderer . . . and discover for themselves how far they will go for love. Thank you so much, Patty, for inviting me! What a fun, fun interview! Thank you for being with us this week, Tammy!